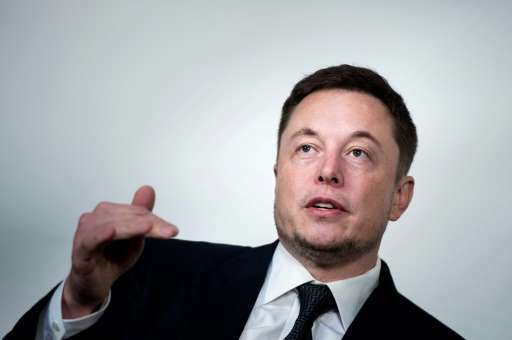 Elon Musk, CEO of SpaceX and Tesla, is among tech leaders urging action against "lethal autonomous weapons"
Elon Musk is leading demands for a global ban on killer robots, warning technological advances could revolutionise warfare and create new "weapons of terror" that target innocent people. "Lethal autonomous weapons threaten to become the third revolution in warfare," warned the statement signed by 116 tech luminaries, also including Mustafa Suleyman, cofounder of Google's DeepMind. "Once developed, they will permit armed conflict to be fought at a scale greater than ever, and at timescales faster than humans can comprehend," the letter read. "These can be weapons of terror, weapons that despots and terrorists use against innocent populations, and weapons hacked to behave in undesirable ways," the letter read. The renewed plea on autonomous weapons was released as the International Joint Conference on Artificial Intelligence in Melbourne got underway Monday, with a record 2,000 of the world's top AI and robotics experts taking part, organisers said. "Today the potential loss of human life is a deterrent for conflict initiation and escalation, but when the main casualties are robots, the disincentives change dramatically and the likelihood of conflict increases," Professor Mary-Anne Williams of the University of Technology Sydney. She warned a killer robot ban may be disregarded by some nations but would stop "countries such as Australia from developing defensive killer robots, thereby being vulnerable to other countries and groups that ignore the ban". Another expert said decision made today would help shape the "futures we want". "Nearly every technology can be used for good and bad, and artificial intelligence is no different," said Professor Toby Walsh of the University of New South Wales. A UN group on autonomous weapons had been due to meet Monday but the gathering was postponed until November, according to the group's website. In 2015, thousands of researchers and personalities launched an appeal to ban autonomous weapons. They dramatically overestimate the consequences for states to own such weapons : no, war is not prevented because we fear for our soldiers' lives. It is prevented because most countries actively work to prevent it. For consequent terrorist organizations, they certainly have low interest in owning such robots. A terrorist-organization who provokes too much terror is a no-longer-existing-terrorist-organisation. ISIS still exists because the cost-benefit analysis of subduing them is in favor of letting them do as they plaese, and ISIS doesn't want to become more threatening because they like spending their days in their harems. The most dangerous potential comes from isolated terrorists of course, as their actions are far more erratic due to their absent survival instinct, but these beasts are thankfully a rare specimen.